Warwickshire, and secondly of John Knight, esq. of Bellowes, or Belhouse, or Gosfield-hall, in Essex. Much of Pope’s correspondence with this lady is inserted in the supplementary volume of the last edition of that poet’s works. 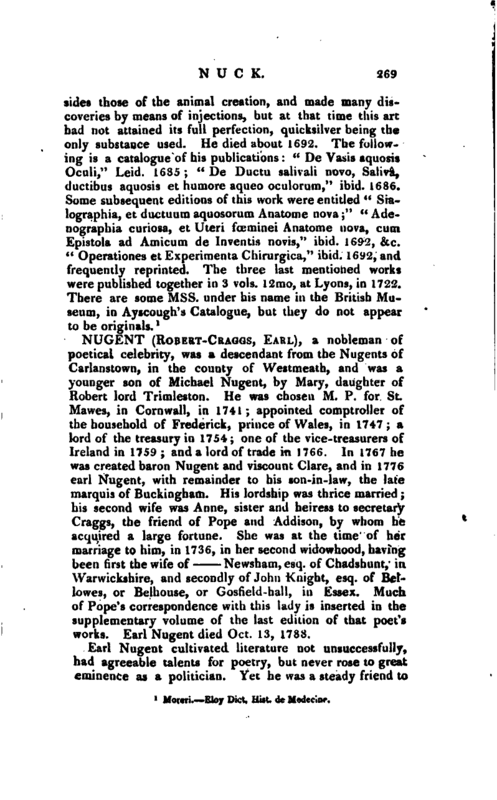 Earl Nugent died Oct. 13, 1788. 1 Walpole’s Royal and Noble Authors in his Wo^^ Park’s edition of ditto. Swift’s Works, vol. 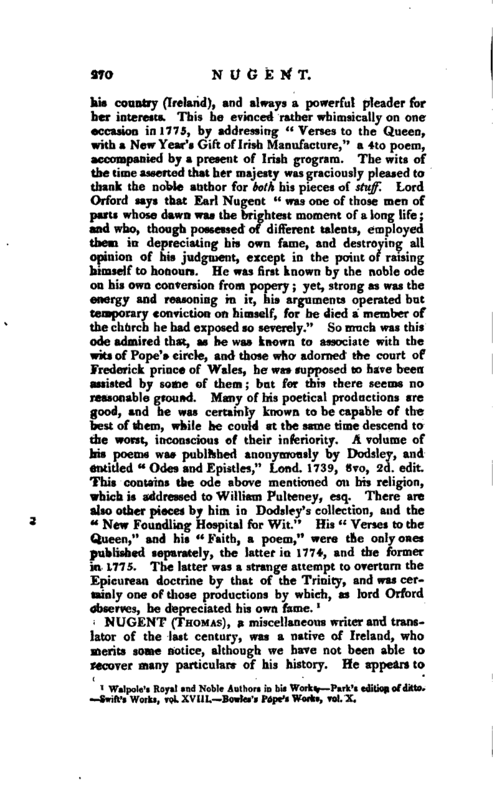 XVI1J.- Bowles’s Pope’s Works, vol. X.